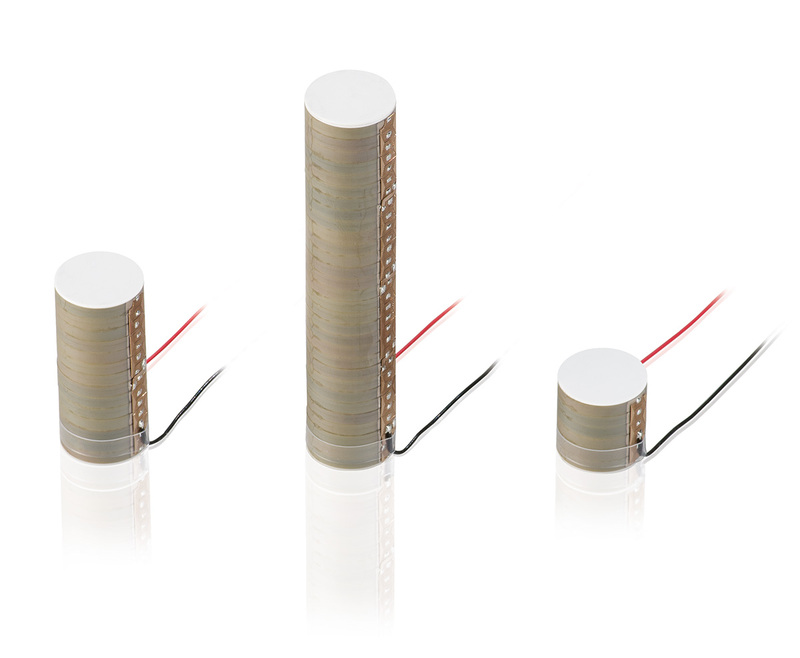 PI Ceramic is expanding its portfolio of round multilayer piezo actuators. 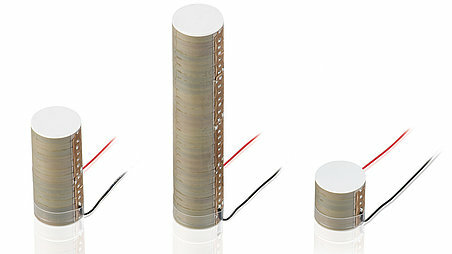 PI Ceramic is expanding its portfolio of round multilayer piezo actuators. They are now available without inner hole in lengths of 16 mm, 36 mm or 77 mm and provide travel ranges from 14 µm to 70 µm. The diameter is 16 mm. The P-088 series of multilayer actuators achieve their maximum deflection at low operating voltages of only 100 V. The resonant frequency of up to 68 kHz is very high which makes the actuators very well suited for highly dynamic processes. Just like all PICMA® multilayer actuators, they have microsecond response time and subnanometer resolution. The actuators are made of round PICMA® Chip actuators that are glued together. This technology allows flexible scaling and fast production – with correspondingly short short delivery times. The gluing procedure does not impair the high reliability and long lifetime of the PICMA® actuators. As standard, they are provided with 100 mm stranded wire connections. The round outer diameter for example, fits perfectly into premanufactured case components made from semifinished tubes. This means that the high-performance actuators are particularly suitable for use in the fields of laser tuning, microdispensing and life science.